The Campbell Hausfeld 3/8-inch x 2 1/2-foot leader hose (MP513700AV) is ideal for use with tools that produce heavy vibration, such as air hammers and impact wrenches. This leader hose absorbs intermittent tool shock to eliminate premature coupler failure. 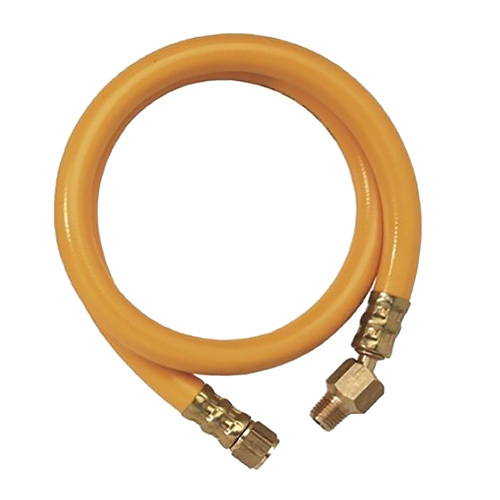 Highly flexible, this hose has a full 360-degree swivel fitting that allows greater mobility. Hose ID: 3/4 inch. Fittings: 1/4 inch NPT (M) x NPT (F).